Electric Heat Drying System. Powerful, portable and safe. BTUs wherever you need them – providing up to 31,000 BTUs of instant heat to speed your drying – that’s 360 CFM with an 80ºF temperature rise. The FireBird offers multiple heating, ducting and electrical options for on-demand heating from inside or outside the drying space. 30 Amp or 50 Amp/220V operation. Two 8ft. cords w/4 pronged outlet and Phoenix Thermostat with 25ft. connecting wire are included. 90Lbs. Performance At the 50-amp setting, the FireBird produces 31,000 BTUs – that’s 360 CFM with an 80°F temperature rise. Imagine placing the FireBird in an area with below freezing temperatures and instantly producing 360 CFM of air over 100 degrees Fahrenheit! Using the 30-amp setting the FireBird produces 18,000 BTUs – providing a 46°F temperature rise. Internal temperature cutouts prevent the FireBird from overheating an area, while the FireBird’s included remote thermostat provides a means to control the heat from anywhere in the drying space. 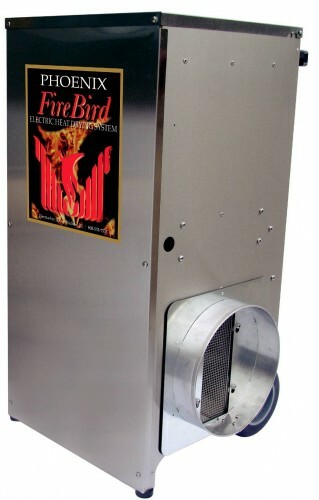 The Phoenix FireBird offers multiple heating, ducting, and electrical options for on-demand heating from inside or outside the drying space. 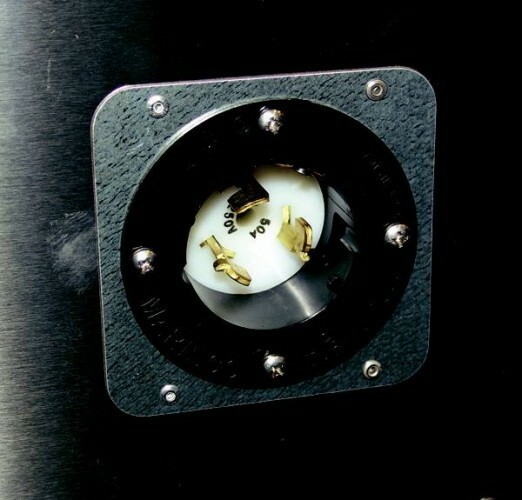 The FireBird will operate freestanding or with 12-inch flex duct on the inlet and/or outlet to distribute the heat precisely where you need it. The FireBird is fully NEC compliant for continuous operation and features a built-in 50-amp twist lock receptacle designed to work with standard 30- or 50-amp power sources – select the setting by simply flipping a switch. The FireBird comes standard with two 4-pole grounded power cords, one for 30-amp outlets and one for 50-amp outlets. A Phoenix Thermostat with a 25-ft connecting wire is also included with the unit. The FireBird employs a startup delay to prevent the potentially dangerous arcing/sparking that occurs with most other high-powered heating devices during plug-in. 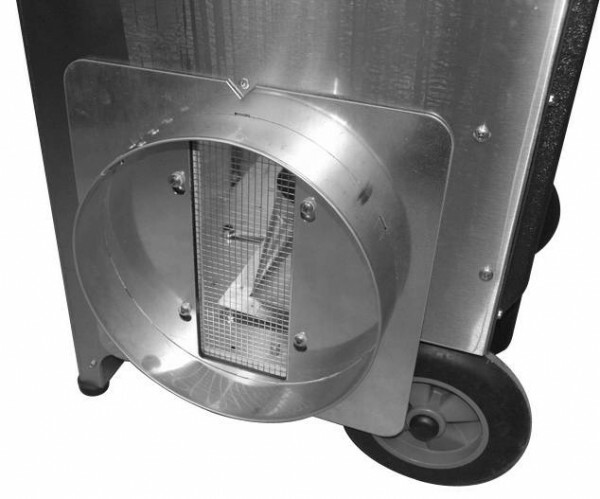 As an additional safety feature to ensure external surfaces are safe to touch, the heating elements are shielded within a double-walled and screened enclosure. An automatic pressure switch disables the heating elements if intake or exhaust ducts become blocked or airflow is cut off for any reason. 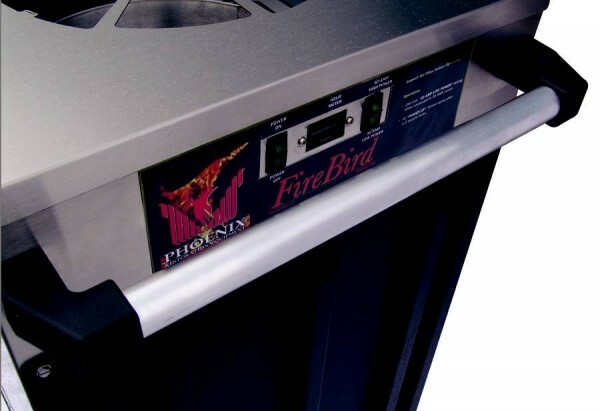 The Phoenix FireBird has combined the safety, security, and convenience of electric heat with the legendary reliability of our proven restoration equipment. 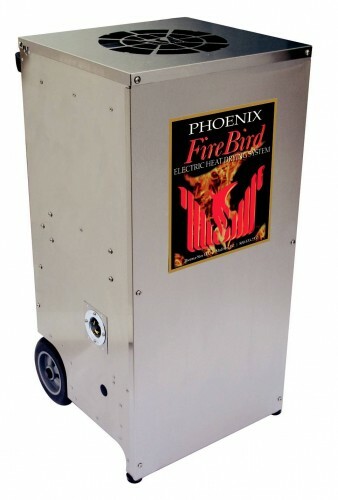 The FireBird is a powerful drying tool – just another example of Phoenix Restoration Equipment leading our industry with innovative products designed specifically for the restoration professional.